BLACK FIRE! NEW SPIRITS! RADICAL AND REVOLUTIONARY JAZZ IN THE USA 1957-1982. Throughout the last hundred years, jazz music has been in a constant state of evolution. Jazz refused to stand still. New genres grew out of old ones. From swing, bebop was born. After bebop, there was the cool school. Suddenly, the cool school was out. Hard bop was now flavour of the month amongst the jazz cognoscenti. Having enjoyed its moment in the sun, hard bop’s popularity was replaced by modal jazz. Then the evolution of jazz became revolution. From the late fifties, through to the the sixties and seventies, jazz embarked upon one of its most revolutionary journeys. A group of innovative musicians, including Ornette Coleman, Sun Ra, Archie Shepp, Albert Ayler, Pharaoh Saunders and Cecil Taylor transformed jazz. This transformation was free jazz, one of the most ambitious and radical sub-genres of jazz. It was a sub-genre that divided opinion. Especially between jazz purists, and the more progressive amongst the jazz community. This however, was the start of a jazz revolution, that would last over twenty-five years. This jazz revolution is documented in Soul Jazz Records’ latest release Black Fire! New Spirits! It’s a deluxe double CD, which explores some of the deep, radical and spiritual jazz released in America between 1957-1982. For much of the period, jazz music reflected and reacted to, American society’s troubles and ills. During the sixties, racism, poverty and inequality were rife in America. It may have said 1960 on the calendar, but in parts of America, it might well have said 1860. America was a divided country. One subject especially, divided America, race. For too long, African-Americans had been persecuted. They were treated like second class citizens, rather than equals. Gradually, a small, courageous group of African-Americans decided to make a stand, and the civil rights movement was born. It lasted right through until the seventies. The civil rights movement brought African-Americans together, and gave them a common cause. One group of African-Americans at the forefront of the fight for equality and justice, were American jazz musicians. Given the state of America, American jazz was in a constant state of revolution. Many African-American jazz musicians had become politicalised during the rise and rise of the civil rights movement. Their music reflected this political awakening. It seemed, the Black Power movement, had been part of a new spiritual awakening. This was reflected in the release of many of deep and spiritual jazz albums released during the sixties, seventies and even early eighties. Many were on small, independent labels. Others were on some of the biggest jazz labels. Some of these albums were hailed as instant classics, others sunk without trace. These albums were released by some of the most groundbreaking musicians of their generation. It’s no exaggeration to describe many of these albums, as the work of groundbreaking and visionary musicians. This includes Don Cherry, Archie Shepp, The Last Poets and Yusef Lateef, who feature on Black Fire! New Spirits! That’s not all, there’s contributions from some lesser know names on Black Fire! New Spirits! There’s contributions from the Creative Artists Ensemble, Granchan Moncur, Lloyd McNeill and Tyrone Washington. Quite simply, Black Fire! New Spirits! is a tantalising reminder of one of a golden musical age, where music reacted to society’s inequality and injustice? However, that’s not surprising. Some of the artists on Black Fire! New Spirits! are more than musicians. They were poets, philosophers and politicians. They’d experienced society’s inequality and injustice. Having a walked a mile in these shoes, Don Cherry, Archie Shepp, The Last Poets and Yusef Lateef set about making a difference using their music. You’ll realise that, when I pick the highlights of Black Fire! New Spirits! 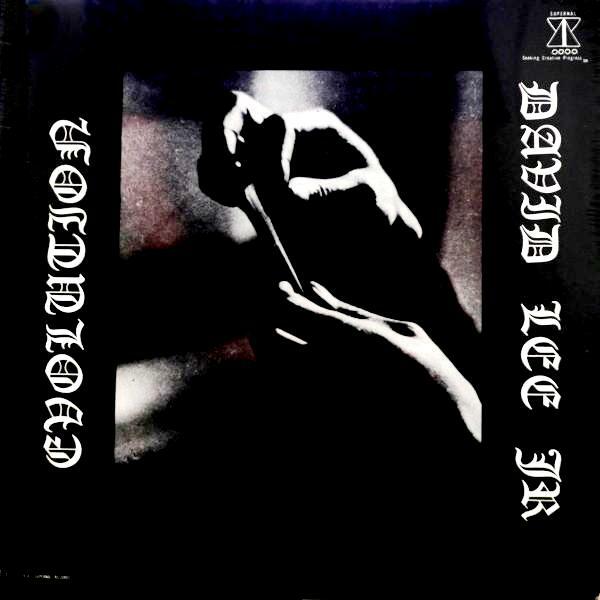 Yusef Lateef’s Chang, Chang, Chang opens Black Fire! New Spirits! It’s one of the earliest tracks on Black Fire! New Spirits! 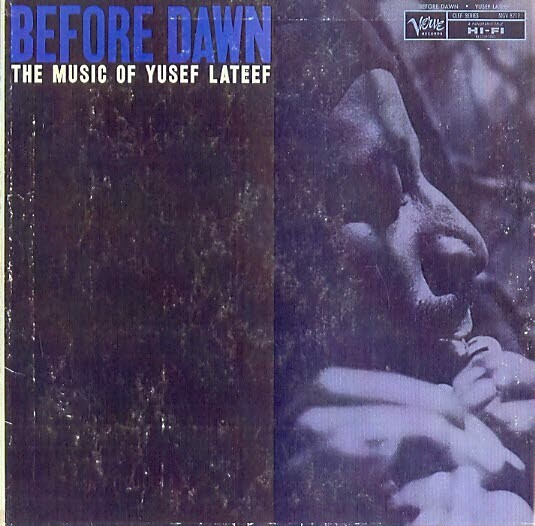 It featured on Yusef’s 1957 album Before Dawn: The Music Of Yusef Lateef. Released on Verve Records, this was one of the earliest albums of a jazz pioneer’s career. Chang, Chang, Chang is a an innovative fusion of post-bop and modal with African and Eastern influences. That’s not all. Another word to describe Chang, Chang, Chang is melodic, as it breezes hopefully along. 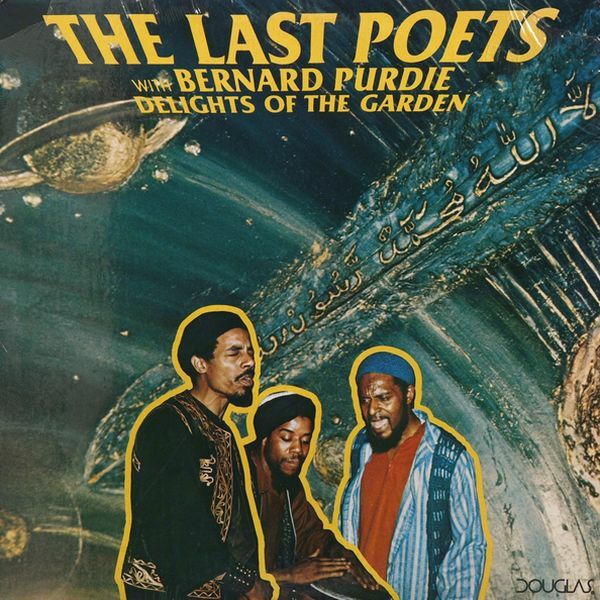 The Last Poets were a hugely influential group, during the sixties and seventies. Amongst the many artists they influenced, was Gil Scott-Heron. Just like Gil, The Last Poets made music with a social conscience. This is the case on It’s A Trip, a track from their 1977 collaboration with Bernard “Pretty” Purdie, Delights Of The Garden. Released on the Douglas label, Delights Of The Garden is a genre-melting album, where jazz and poetry become one. In doing so, The Last Poets, like Gil Scott-Heron, helped give birth to rap. 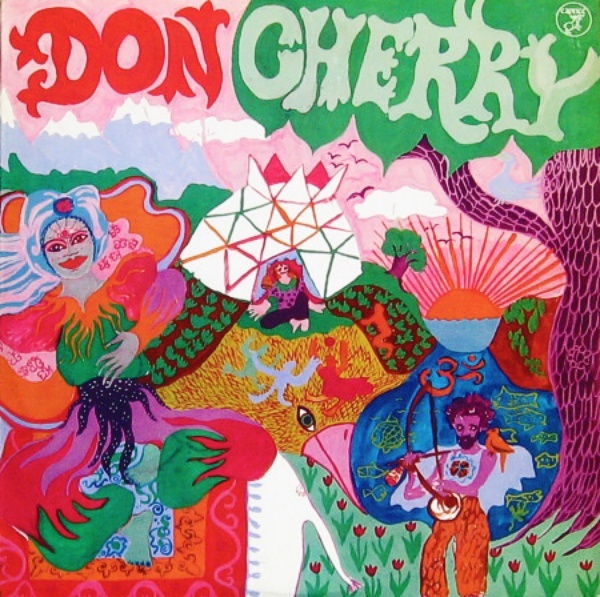 Don Cherry’s name is synonymous with groundbreaking jazz. He was at the forefront of the free jazz and avant-garde movement. By 1973, it was eleven years since Don released his debut album Evidence. Since then, Don had been creating ambitious, challenging music. That’s the case with Utopia and Visions, a track from Don’s 1973 album Organic Music Society. It’s a fusion of free jazz, Afro-beat, folk and world music. There’s even a soulful twist to this beautiful, spiritual track. 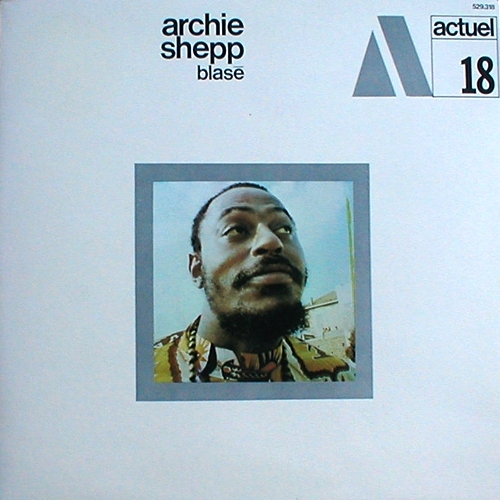 Archie Shepp and Jeannie Lee have your attention from the opening bars of Blasé. It’s the title-track to Archie’s 1969 free jazz album. Released on the Paris based BYG Records, Blasé is a hidden gem within Archie’s back-catalogue. No wonder. Blasé has a captivating sound that draws you in. Soon, you’re transfixed, spellbound by the music’s haunting, ethereal and mesmeric beauty during this ten minute epic. Graham Moncur III and The Jazz Composer’s Orchestra collaborated on the 1975 album Echoes Of Prayer. It was released on JCOA Records, a non-profit record label of the Jazz Composer’s Orchestra Association, founded in the late 60’s by Carla Bley and Michael Mantler. This seems fitting, given such an ambitious and innovative project. Echoes Of Prayer was an album featuring four lengthy movements. Each featured a different lineup of The Jazz Composer’s Orchestra, who were essentially, a jazz supergroup. Some of the top jazz musicians made guest appearances. The only constant was trombonist Graham Moncur III. He played a crucial role on the genre-melting, timeless track, Angela’s Angel. Opening disc two of Black Fire! 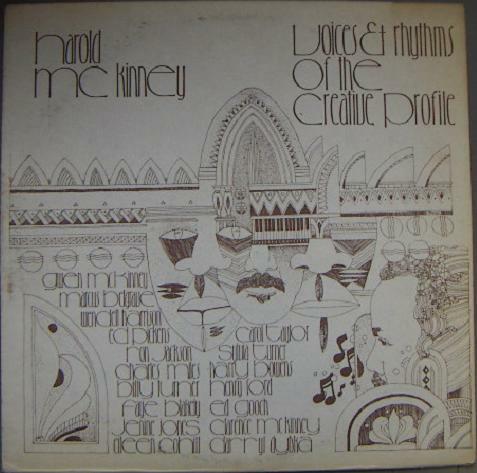 New Spirits!, is one of jazz’s best kept secrets, Harold McKinney and The Creative Arts Ensemble’s debut album Voices And Rhythms Of The Creative Profile. Released in 1974, on the Tribe label, one of the album’s highlights, is In The Moog. Glen Miller, this ain’t. Instead, this is Harold McKinney and The Creative Arts Ensemble reaction to the social, political and socioeconomic problems blighting America. It’s best described as an emotive and cathartic outpouring of anger and frustration. David Lee Jr, was born in the musical melting pot, that’s New Orleans. Growing up, he learnt to play the drums. He went on to play with Dizzy Gillespie, Joe Zawinul, Sonny Rollins, Roy Ayers and Lonnie Liston Smith. However, David’s solo career numbers just one album Evolution, released on the Supernal label in 1974. Second Line March, is one of the many highlights of Evolution. It’s essentially, a fusion of free jazz, avant-garde, jazz and drama. Urgent and full of subtleties and nuances, it’s two minutes of compelling music. 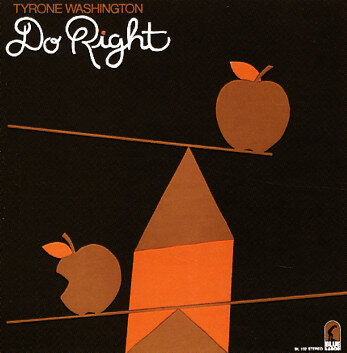 Forty years ago, in 1974, Tyrone Washington released his third album Do Right, on the Blue Labour label. He saves the best until last on Evolution. Universal Spiritual Revolt closes Evolution. It’s a blazing, dramatic call to arms. Funky, soulful and frantic, genres and influences melt into one. It’s akin to a futuristically funky, free jazz protest song. Back in 1969, Joe Henderson released Power To The People on Milestone Records. This was no ordinary album. Far from it. On Power To The People, a fascinating fusion of hard bop and post bop, collides head on. One of Power To The People’s centrepieces is Black Narcissus. So much so, that in 1976, Joe would build a new album around Black Narcissus. 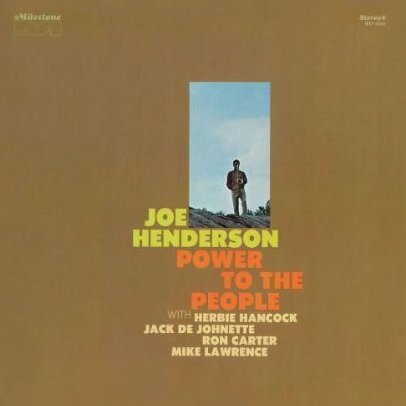 However, the version of Black Narcissus on Power To The People, features Joe Henderson at his best. Wistful, thoughtful and sultry, there’s brief dramatic stirrings as Joe and his all-star band stretch their legs. Herbie Hancock’s influence can be heard throughout the track. Washes of crystalline keyboards twinkle and shimmer. They’re the perfect foil for Joe’s sultry, braying saxophone. My final choice from, Black Fire! New Spirits! is Doug Hammond’s Spaces and Places. It’s a track from Doug’s 1982 album Space, which was released on the Idibib label. It’s pioneering and innovative free jazz track. Other times, the music has a much more orthodox sound. 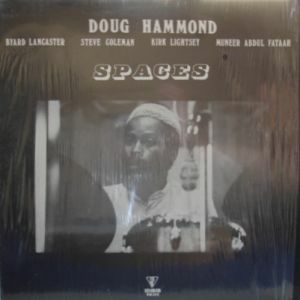 To However, for much of the time, musical boundaries are pushed to their limits, as Doug Hammond takes you to Spaces and Places you’ve never been before. That’s the story of Black Fire! New Spirits!, Soul Jazz Records’ most recent release. Quite simply, it’s a compilation of groundbreaking and innovative music. Described as deep, radical and spiritual jazz, there’s detours into modal, hard bop and post bop. That’s not all. There’s plenty free jazz. This is a potent and heady brew, for those with eclectic and adventurous tastes. Even if this doesn’t describe you, Black Fire! New Spirits! is a captivating and compelling compilation that’s guaranteed to expand your musical horizons. After all, Black Fire! New Spirits! isn’t just a compilation of familiar face. Granted, there’s contributions from some well known and groundbreaking musicians. 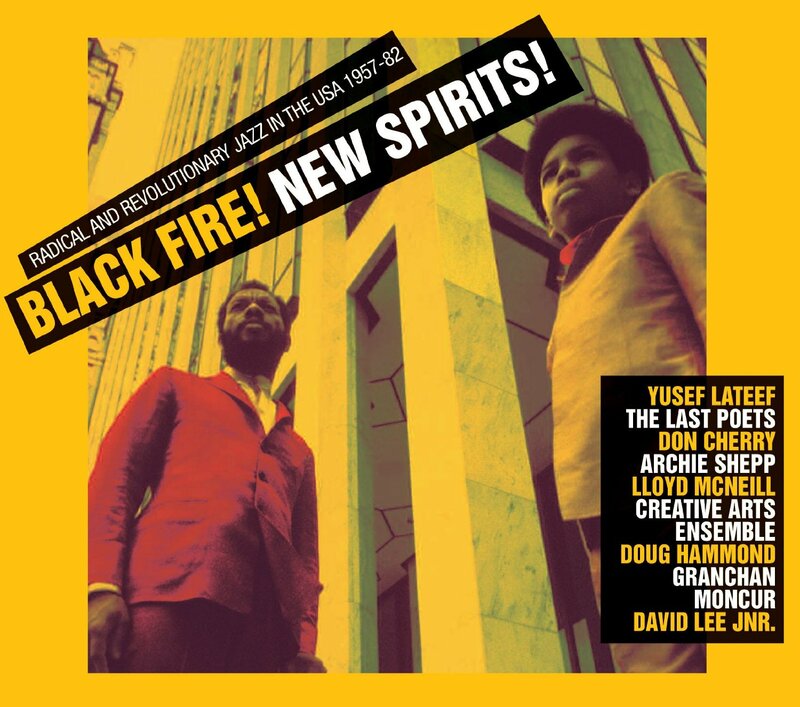 This includes Don Cherry, Archie Shepp, The Last Poets and Yusef Lateef, who feature on Black Fire! New Spirits! That’s not all. There’s also contributions from some lesser know names on Black Fire! New Spirits! There’s contributions from the Creative Artists Ensemble, Granchan Moncur, Lloyd McNeill and Tyrone Washington. Some of these lesser known names are responsible for some truly ambitious and innovative music. Sadly, most people haven’t heard music from these artists. Until now. Black Fire! New Spirits! is the perfect way to discover some of the most groundbreaking jazz released between 1957 and 1982. That’s no exaggeration. Much of the music on Black Fire! New Spirits! was way ahead of its time. No wonder. It was the work of some of groundbreaking and visionary musicians of their generation. Sadly, apart from a few members of the jazz cognoscenti, many of these musicians are hardly remembered. That’s a great shame. Thankfully, Black Fire! New Spirits! rights that wrong, and remembers fourteen pioneering musicians whose musical legacy was a potent mix of passion, political comment and hope, hope for a better future. Reblogged this on Matt Moore.